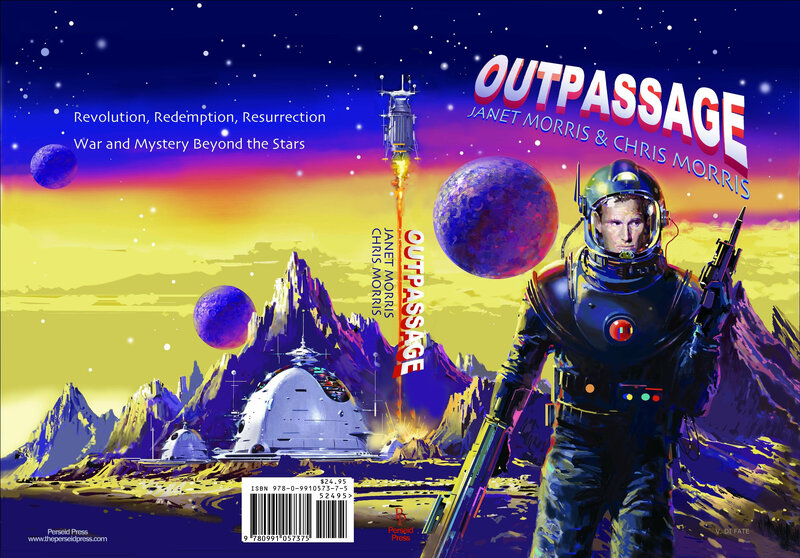 Posted by eranamage in Adult fantasy, Book Spotlight, Dystopia, Indie Promotion, Perseid Press, Promotion, sci-fi, Science Fiction, Spec Fic, Support an Indie! Everything you’ve seen or read till now took you only to the brink . . . Neither pure fantasy, nor straight science fiction, nor earthbound dynastic saga, Dream Dancer is a stunning amalgam of all three. It is a family saga with the epic appeal of Dune and the action and excitement of Star Wars. It is a saga of love, power and treachery that will appeal to men and women equally; full of action, compulsively readable and quite unlike anything being published in the realms of fantasy today. The heroine, Shebat, is a remarkable girl from Earth. She is brought to the vast empire of the Kerrion family by a renegade son; named as its future ruler on a whim of his autocratic father; abducted to the slums where the Kerrions’ slaves drug themselves with powerful mystical sorcery; and finally rescued to take part in a great rebellion. She falls in love with one brother but marries another and becomes more Kerrion than some born to the name. A magical seductress of men, passionate in her lust for power, Shebat moves among those who control the destinies of millions, for whom treachery and betrayal are as easy as murder. Set in the timeless future on a primitive, savage Earth and on the sophisticated habitats of deep space, Dream Dancer is the first volume of a three-part saga. Kit Marlowe: Eyewash, all that. Shakespeare’s a famous liar. My Tamburlaine the Great, Parts I and II, were performed in my lifetime; the rest, posthumously, but for Dido, Queen of Carthage, writ by me and Thomas Nashe, and ‘performed’ by the ‘Children of the Chapel,’ as fair a clutch of boy charmers as ever gamboled on any stage. I met my death not too long after I met Will, a matter of my spying here and lying there, most times with Walsingham, whose wife took umbrage, as women will, when boys and men make love. Still, those plays set a new standard in quality and introduced blank verse. Mine were not, like Will’s, tripe writ for money-grubbery by the uneducated and for the uneducated. I helped Will write his Henry VI, Parts One, Two and Three and got no credit for it. Still, my own four plays performed on Earth after I arrived in Hell did what art should do: shined lights on evils hidden and calumny of the vilest kind. Now who’d expect to find an angel in Hell, except of course his lordship, the Fallen One? Amongst the damned his presence is…unusual. So over to you… (brave angel this one…misguided perhaps but brave). *Who are/were you? I am Altos, an angel on special assignment. * Why do YOU think you’re in Hell? I am here to rehabilitate His Satanic Majesty. Who are your friends/allies here? All well-meaning souls I consider my allies, those not entirely given over to iniquity. Describe your home/environment in Hell. I arrived with the fallen and have watched Hell develop from total darkness to its current state. Although I hail from on high this is my home for now, wherever the Prince holds forth you will find me. Do you have any enemies here? My adversaries are the blind passions of the damned, most significantly Vengeance. Come on be honest, what do you think of HSM leadership? Satan is comprehensible, if not justifiable, and actually a lover of beauty in his way. * Tell us about your story for this edition. The Wager relates an incident involving Satan and Altos where militaristic hordes from all ages have gathered for a “final” reckoning. What inspired you to use the character(s) you’ve chosen? Satan’s isolation and profound understanding of humanity are fascinating, yet very difficult to draw—in this story by resort to a ghastly and grand-scale event demonstrating the worst proclivities of his charges, the lost souls of men. Because of his proposition to the angel—his most worthy, divine audience—he can indulge his urge to instruct his eternal adversary on high. Even Satan loves company. What are you currently working on? I’m narrating audio books; I’ve completed The Sacred Band a novel by Janet Morris and myself and I, the Sun by Janet Morris. Next up is Shards of the Glass Slipper II: Queen Alice, by Roy Mauritsen. Name the last two books you’ve read – tell us about them. Re-read The Golden Sword by Janet Morris, the second volume in her Silistra series quartet and The Best Poems in the English Language by Harold Bloom, his compendium of great poetical works and a great starting point for those like me who seek a chronological framework in which to appreciate the history of poetry in our language. What marketing tips/writing advice can you offer other authors? Until you’ve found your storytelling voice as distinct from those writers you admire, write only what you know as passionately and articulately as you can without distorting your effort by trend-following or obeisance to niche-market rules and practices. Find and write what only you can and love the moments of total immersion necessary to bring them to life. A Week in Hell? What does that mean I hear you ask? Another crappy week at the office? Well yes actually but that isn’t what the post is about. 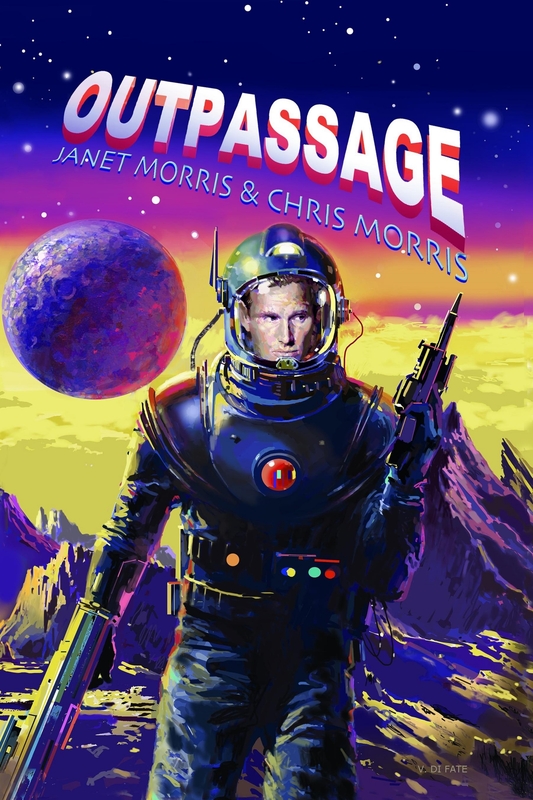 I am honoured and delighted to be involved with the promotion of this landmark and award winning shared world series created by Fantasy author Janet Morris. The latest, and seventeenth instalment has just been released – Poets in Hell. Hell is, well Hellish, and things are getting worse. The auditors are in, which is never good, a coup has failed (again) and the likes of Marlowe, Beowulf, Odysseus and Mary Shelley are causing mayhem. 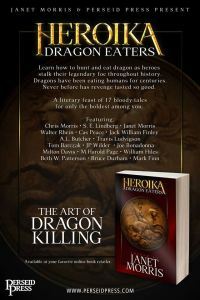 There are lots of authors involved, including Janet and Chris Morris, Joe Bonadonna, Yelle Hughes, Jack William Finley, Doug McKittrick and a whole hellish host. Varied styles flow through the Heroes in Hell series but every story has a delicious helping of dark humour and witty plotting, within a flawlessly crafted world. The denizens of Hell try to buck the system, and you can guess how that goes. So far we’ve been entertained by Rogues, Lawyers, Kings, Dreamer and very many more denizens of the Realm of Darkness. In celebration of this infernal new release, His Satanic Majesty has given permission for a little party with payment later…Damn, maybe I should have read the small print. Anyway what will follow over the next few days is selection of author and character spotlights from the bowels of HSM’s domain. Including one from the Lord of Sin himself. Enjoy! Please note all the excerpts are copyrighted thus: Poets in Hell, copyright (c) 2014, Janet Morris. It is with the kind permission of Ms Morris I am able to run these interviews and excerpts. Keep reading for the most infernal collection of interviews ever posted…. For more info on the series please visit the links below. Do you have a moral code? If so what is it? Do you have any relationships you prize above others? Why? Cox: My religion is nobody’s business but my own. I was brought up as a God-fearing man, but these days I don’t think God is what we’ve got to fear. People are like salmon searching for a forgotten spawning ground: they’ll die trying to get somewhere they haven’t been before. There’s a new cult among some Fourth Worlders: redemption, resurrection, the holy way. I’ve encountered some of those people. Like with other religions, these early practitioners are revolutionaries. And when revolutionaries become violent, no matter what they believe, that can require military intervention. So, no I’m not a ‘follower’ of any religion, but yeah, this one’s affecting my behavior. Name and describe a food from your world. Does your world have magic? If so how is it viewed in your world? What is the technology level for your world/place of residence? What item would you not be able to live without? Does your world have any supernatural/mystical beings? Please tell us about some. Cox: Kinetic kill and electromagnetic weaponry. Barnett: Photonics. Faster than light travel.